Life Lately – A Whole Month! It was exactly one month ago today I published my post on Solitude. That is the longest stretch I have ever gone without writing something, even if the something was nothing. So, what have I been up to in this last month? A lot of awesome and not awesome. Let’s start with the AWESOME! Yes, it went up a solid week Pre-Turkey Day. After 43.5 years, my step-dad RETIRED from Eaton Corporation. What a proud moment for us all! Dave is a pure example of what hard work and dedication looks like. Lot’s of family at the Swanson’s the Sunday before Thanksgiving. Good food, drink and family fun. The best part? We got my DAD to show up to! It was an early Christmas Miracle – it’s been a few years since he has attended. Iowa vs. Nebraska Game, Friday, November 27th – Lincoln, NE. It. Was. FREEZING but Oh. So. AWESOME! We tailgated with a few friends while attempting to stay warm. Clint had the right idea with his Carharts. He looks like he is going to work, you say? Ask him if he cared. He was WARM! Semi-warm pre-game thanks to cuddle time with the girls. Seriously. 23 and breezy. Whew! But, totally worth it for that Hawkeye WIN! It was 7 degrees warmer than Fridays game, so it felt like a friggin’ heat wave. The rain, however, was a bit of a damper on the atmosphere but not our spirits! What a blast. I even ran into my Brother and Sis-in-Law! They are legit Chief fans; as in not sure they have ever missed a home game. A successful run after TWO months of no runs (minus the trail run first of November). I’ll get to that in the not-so-awesome section. Live music at Bogey’s West Bar and Grill for the birthday girls 35th closed out last weekends shenanigans! 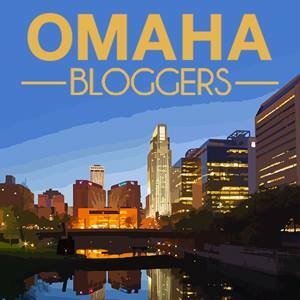 Can’t make Omaha? Join me in Knoxville, IA in February! 🙂 Email me at jordan.pirtle@yahoo.com. So, what about the not so awesome? Stupid back and hip issues. On-going for years, but always self-correcting. End of October I was nailed with incredible, debilitating pain, that even bending over to put my shoes on, or getting my toothbrush from the bottom drawer, was a painful process. Heaven forbid I try to do a squat. UGH! …that left me with bruises that I still have (and have grown quite impressively) a week later. Can I teach classes again? Yes. Can I put my socks,shoes, pants on? Not without some pain. Can I sit comfortably? Yes. Can I stand comfortably? I have to slowly get up and let my spine readjust for a second before I take off. Can I do Yoga? Nope – tried again and I just get stuck. Will this ever go away? Thinking no. Thank goodness Champ gives me kisses to make it feel all better. Yes, I am better then I was a month ago. I couldn’t hardly do anything. Now I can. The pain is still there but not nearly as severe. Am I able to explain it well enough without sounding like a pansy? No. It’s hard to explain. It isn’t just a sore muscle. Trust me – I know what that feels like. Leaning over to pick something up isn’t just garnering a sore or tight feeling – it’s painful. Sometimes it’s more than painful in the fact that I physically just CAN’T. Period. My body won’t go that way. When I end my classes with stretches I have to support myself in every single move. The best comparison is that feeling when something feels like it’s going to snap, or break, or pop out of place RIGHT before it happens. That is what I feel like all the damn time. Again, yes it has gotten significantly better. I can push through it to a point. So, today I am back to a Chiro. The day I had my MRI, I was feeling friggin’ fantastic, of course. <insert eye roll here for me> Like ready to go run a halfsy or rock an entire hour of Insanity with zero pain! YESS! But, as a result, the MRI showed minimal disc bulging in L4 and L5 but nothing else. NOTHING ELSE. The next day after said MRI? I had to grab on to the side of my bed to even roll over and then had to push my legs over the edge to stand up. My body just wouldn’t do what I needed it to do. Period. And that is my life. Great one day. A 150 year old woman the next. Tomorrow is our last day at work. We are closed until January 4th. I can’t begin to explain my excitement. Lot’s of stretching, workouts, family time, pampering time, curriculum preparation for my certifications, fitness classes, learning new choreography, getting my diet back on track to drop these 10 gross pounds of extra garbage (thanks summer fun and my month of back depression) and whatever the heck else I want to do! Bring it on! Good to finally read one of your blogs again…hope you have a Merry Christmas!